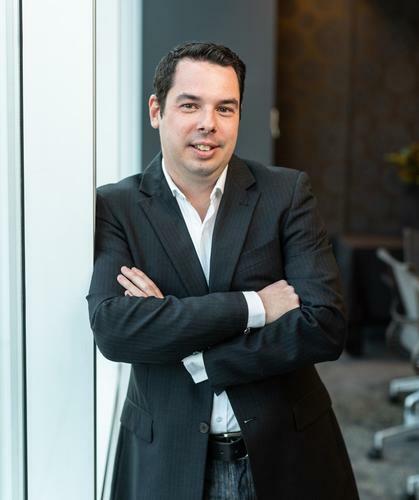 Passmore, who leads Knosys’ technology strategy and is responsible for the oversight of all aspects of product design, development and operations, caught up with CIO Australia to discuss technology trends he believes will and won’t disrupt Australian businesses and industries in 2019. In particular, Passmore thinks AI, quantum computing and the 5G market won’t come into commercial reality, and that the market and investors should avoid the “halo effect” of these “new and shiny” technologies. CIO: What are the technology trends of 2019? NP: Augmented reality (AR), automation and cybersecurity will be the key strategic trends for business leaders in 2019; in particular, those looking to improve productivity and customer experience while simultaneously shifting the digital mindset of the organisation. AR will continue to be a major consumer trend in 2019, as opposed to virtual reality, with tech companies like Apple and Google already pushing for AR updates in their operating systems. As consumers use AR more and more, Australian businesses will need to consider how they’ll use this technology to improve their customer experience, interact better with customers, and ultimately sell more. Automation will continue to be a theme in large enterprises and government agencies, but we’ll also see this extend to smaller organisations, as these technologies become more accessible and easier to use. However, the biggest change around automation in 2019, will be the shift in business thinking from “automate and replace” to the rise of the “knowledge worker”. I think we’ll see government agencies and organisations investment more to buffer the downsides of automation, by retraining and upskilling their employees so they can better service the strategic priorities of the organisation. CIO: Do you agree with Gartner’s top trends? NP: While I agree with Gartner’s top trends on smart spaces and digital ethics and privacy, to drive disruption and new business models in 2019, it was slightly alarming that cybersecurity didn’t make the cut. As an industry, we know that cybersecurity will only continue to grow in importance in 2019 and that extends to both the security of the systems we use, but also information security. 2018 marked a new era for data breaches and outbreaks of WannaCry and other ransomware; but I don’t think the impact of those attacks was really felt in Australia. One of the largest areas of concern for cybersecurity in Australian organisations is the internal theft of information and internal data leakages – and that threat is only going to become more prevalent as we move towards cloud-based services, and as we store more customer and personal information. CIO: What advice do you have for other CIOs and CTOs? NP: Ignore the technology halo effect in 2019. I don’t believe that the Internet of Things (IoT) or quantum computing will come into commercial fruition in 2019. Yet, they continue to be overhyped by technology vendors and investors in the Australian market. The IoT hype is centred on faster connectivity and dedicated networks for these systems and sensors. If Australian businesses are waiting for the 5G revolution to spur a boom in IoT, they’ll be waiting a little while longer – particularly in a country as vast as Australia. Businesses thinking about IoT in 2019 should look at traditional networks over which these systems operate: low power; low bandwidth; and designed to provide constant connectivity, rather than focusing on getting data from A to B as fast as humanly possible. We’re also still a wave off having a general purpose for quantum computing systems in place. While technology does move quickly and quantum computing has significant advantages in the speed in which it can process things, I don’t believe that businesses’ understanding of quantum physics has matured to a point where we can build general purpose quantum computing farms that will replace the technology we currently use. It’s likely we’ll see commercial quantum computing take off in Australia in the 2020s. CIO: What are your thoughts on AI? NP: Stop believing AI to be the panacea to all business problems. Let’s get one thing straight – AI is a buzzword, while machine learning is the real deal. Machine learning today has many benefits for businesses and over the next 5-10 years we’ll continue to evolve algorithms and methods of implementing such as neural networks, deep learning and statistical processing of data. There needs to be a correction of thinking of AI in 2019. Today many businesses and their leaders see AI as a panacea for every issue impacting their organisation and that by implementing AI, it will fix a plethora of problems – when we are still in a position where an implementation of any single machine learning system requires a tightly-defined problem. We’re not yet at a stage of development of these technologies, where they can be easily applied to solve a broad spectrum of business problems. In 2019, Australian businesses will need to do a cost-benefit analysis of implementing these technologies and consider if they are implementing them for marketing or market-purposes. As the business focus intensifies on getting the customer the right information fast and ensuring that it’s consistent in how it’s delivered across the entire organisation, there will be a greater investment in “back-to-basic” technologies like knowledge management. CIO: What’s your key advice for navigating 2019? NP: In 2019, Australian organisations need to be attuned to the long-term planning of their technology needs. You can’t expect vendors to bring and deliver on shiny new technologies, when you’re still running on technology that’s 30-40 years old. As an industry, we also need to start talking more about those “boring technologies” – the less flashy aspects of technology that Australian organisations and investors tend to gloss over. Until we start talking about bolstering existing systems and core networks - making sure they are secure, up-to-date, can be supported and upgraded - I think we’ll continue to see organisations chasing their tails.